1986-88: Research Fellow, Division of Geographic Medicine and Infectious Dis-eases, Department of Medicine, Tufts University School of Medicine, New England Medical Center, Boston, Massachusetts, U.S.A.
1988-93: Clinical and Research Fellow and Instructor in Medicine, Di¬vision of Geo¬graphic Medicine and Infectious Diseases, Department of Medicine, Tufts Uni-versity School of Medicine, New England Medical Center, Boston, Massachusetts, U.S.A. Included are i) a sabbatical (May – August 1990) for training in Molecular Biology of Infectious Diseases, Rocky Mountain Laboratories, National Institute of Allergy and Infectious Diseases, National Institutes of Health, Hamilton, Montana, U.S.A., and ii) complete clinical and laboratory training in Infectious Diseases (Infectious Dis-eases fel¬lowship), Division of Geographic Medicine and Infectious Diseases, Depart-ment of Medicine, Tufts University School of Medicine, New England Medical Cen-ter, Boston, Massachusetts, U.S.A.
a) Infectious Diseases Consultant, Department of Clinical Thera-peutics, University of Athens School of Medicine, “Alexandra” Hospital, Athens, Greece. b) Infectious Diseases Consultant, 1st Department of Internal Med-icine, “Alexandra” Hospital, Athens, Greece. c) Attending Physician, Internal Medicine, “Hygeia” Diagnostic and Thera¬peutic Center of Athens, Maroussi, Greece. 1996-1997:Medical Consultant, AIDS Homecare Program, Hellenic Center for the Control of AIDS and STDs, Ministry of Health and Wel-fare, Athens, Greece. 1999-present: Associate Director, 3rd Department of Internal Medicine, “Hygeia” Diagnostic and Thera¬peutic Centre of Athens, Maroussi, Greece. 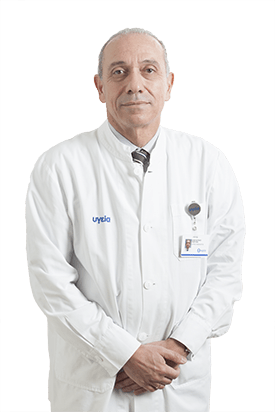 2004-present: Director, 2nd Department of Internal Medicine, “Hygeia” Diagnostic and Therapeutic Centre of Athens, Maroussi, Greece.